This interactive sounds sculpture is composed of a series of various steel rings suspended from a central mast. The vibrations of the different rings were captured with contact microphones and filtered through modulating equipment, filling the space with strange reverberating metallic noise. 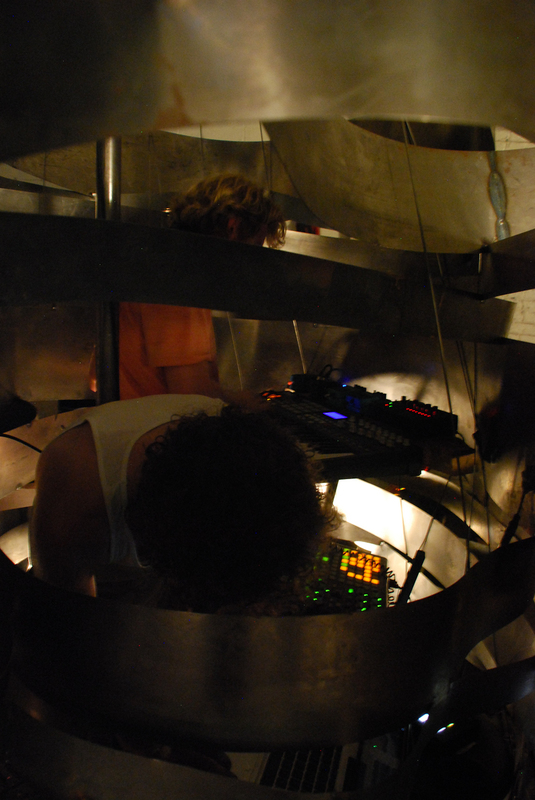 A concert took place inside of the sculpture, and the audience invited to play on it's exterior and listen as these sounds are mixed into the music.